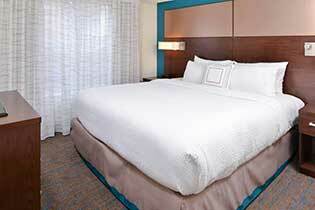 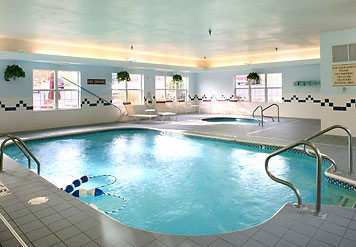 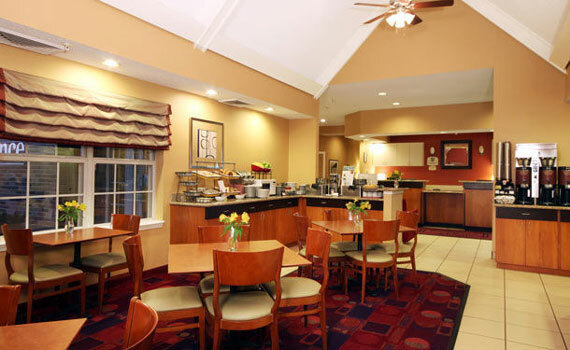 The “Residence Inn Marriott” gives you all the luxuries of home, and then some! 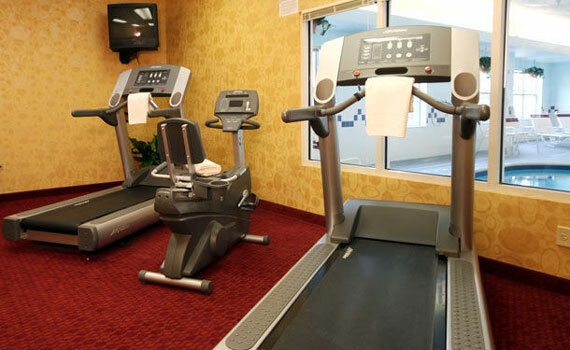 Conveniently located next to great dining, golf, and more, you’ll stay in the peaceful Thousand Hills area of Branson, while being just a couple minutes away from the famous Highway 76 strip! 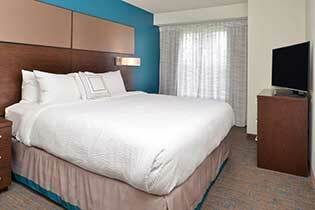 “Residence Inns” are known for their expansive, comfortable suites and the Branson property is no exception. 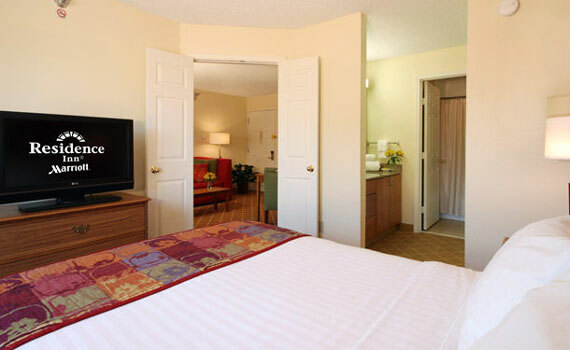 You’ll find 50% more space than a traditional guest room, as well as fully equipped kitchens and cozy living room areas. 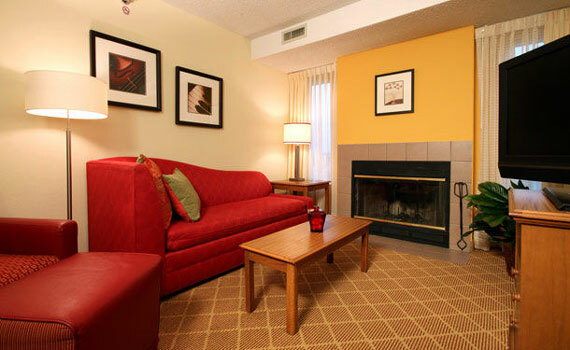 Some suites are equipped with fireplaces, and all feature complimentary WiFi. 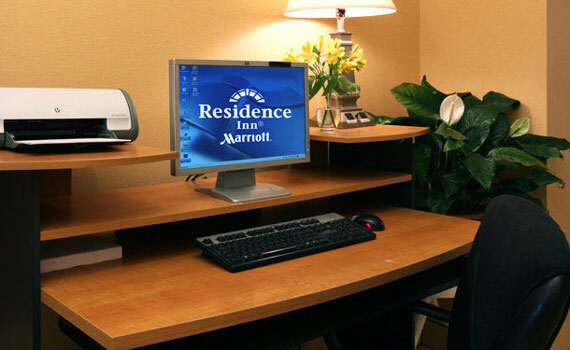 Each suite is outfitted with a work space, and pets are welcome for a reasonable fee. 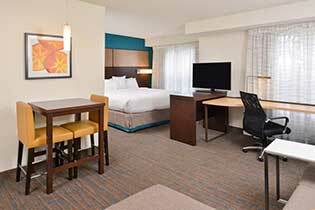 This non smoking room offers one queen bed, one double sofabed, dresser, closet, coffee and tea maker, data ports, hairdryer,iron, ironing board, clock radio, wireless internet, 32" television, premium movie channels, living and sitting area with table, chairs, and couch. 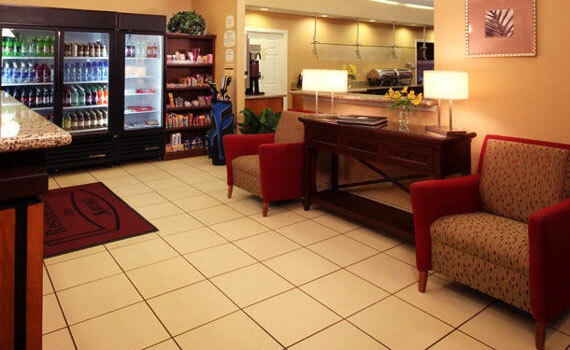 Fully equipped kitchen with microwave, refrigerator, stovetop, dishwasher, and grocery shopping service. 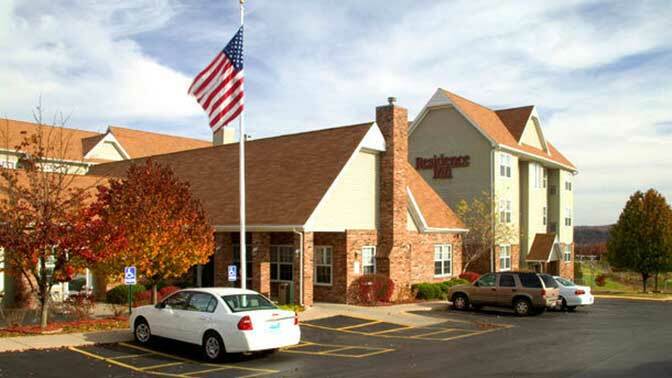 This non smoking room offers one queen bed, one double sofabed, dresser, closet, coffee and tea maker, data ports, hairdryer,iron, ironing board, clock radio, wireless internet, two 32" televisions, premium movie channels, living and sitting area with table, chairs, and couch. 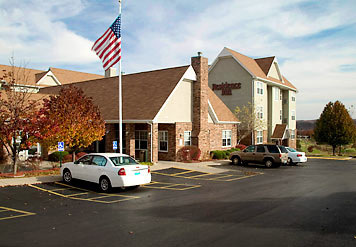 Fully equipped kitchen with microwave, refrigerator, stovetop, dishwasher, and grocery shopping service. 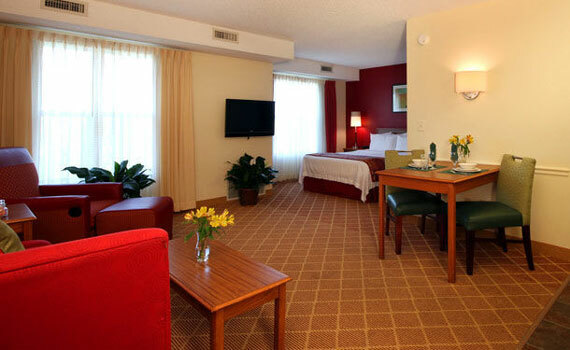 This non smoking room offers two queen beds, one double sofabed, dresser, closet, coffee and tea maker, data ports, hairdryer,iron, ironing board, clock radio, wireless internet, three 32" televisions, premium movie channels, living and sitting area with table, chairs, and couch. 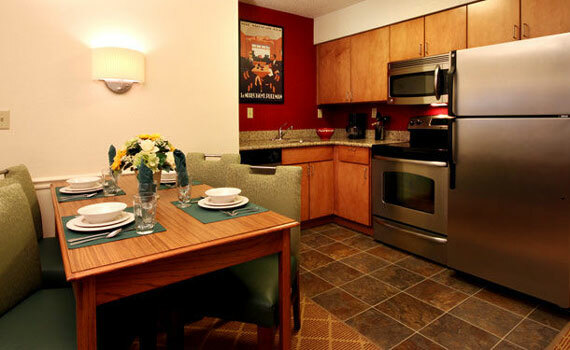 Fully equipped kitchen with microwave, refrigerator, stovetop, dishwasher, and grocery shopping service.